SUNDAY SCHOOL FOR CHILDREN AND ADULTS 10:00 - 10:50 a.m.
You can always expect a loving and welcoming introduction from the faith family of Living Word. All who are baptized and repent of their sins are welcome to receive the Sacrament of Holy Communion. For those who prefer, the inner ring of Glasses contains white grape juice. Gluten-free wafers are also available upon request. The worship services are biblically based on the infallible Word of God. Children are welcome to remain in the sanctuary during worship, or enjoy the seperate infant and toddler nursery. Adult and children's Sunday School is offered between services. Infant & toddler nursery available during worship & Sunday School. Each child is checked-in and parents are issued a pager. Pastor Eibel and Pastor Malinak are available after every service and would love the opportunity to meet you. 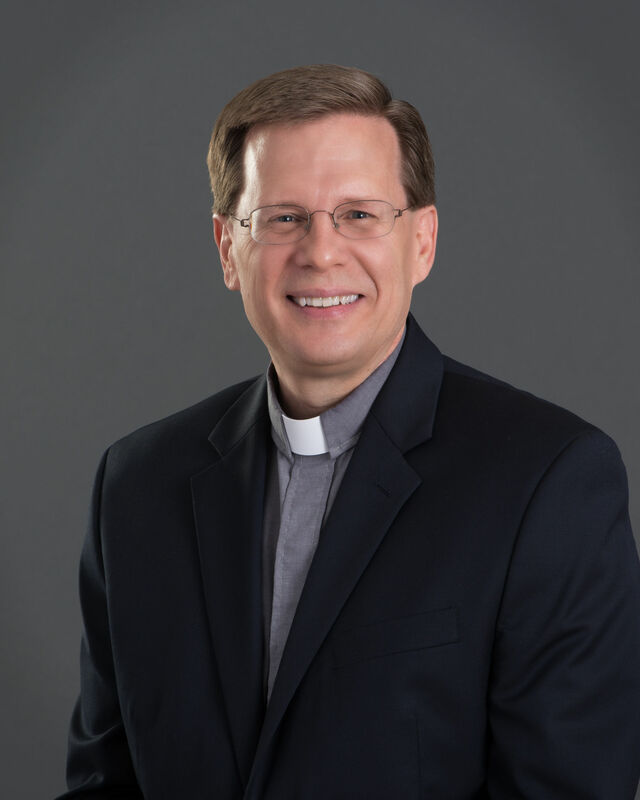 You can also contact them by calling the church office 817-481-8626 or contacting them through email. 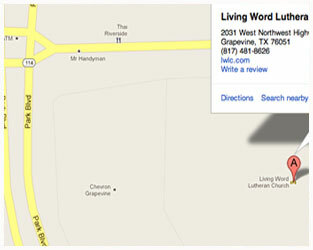 Our campus is located at 2031 West Northwest Highway, Grapevine, TX 76051. You can use the interactive map to the left or visit our google maps page which allows you to print or email directions. There are several "Visitor Parking" spaces right near the main entrance. Overflow parking is available in the adjacent Tom Thumb parking lot. There are several handicap Accessible parking spaces near the main entrance with wheelchair accessible ramps into the main entrance.